Now, the finest name in golf equipment offers the finest in men’s golf apparel. 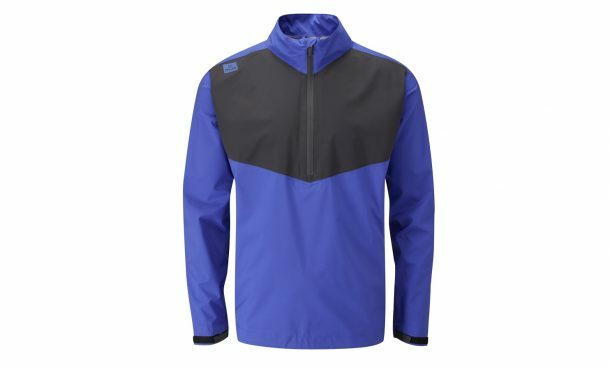 Challenge the course in unfavorable conditions with the PING Men Zero Gravity Ultra Lightweight 1/2 Zip Jacket. The PING Collection builds upon a true golf heritage of technical excellence to create a golf jacket which reflects a philosophy of innovation, performance, quality, and style. 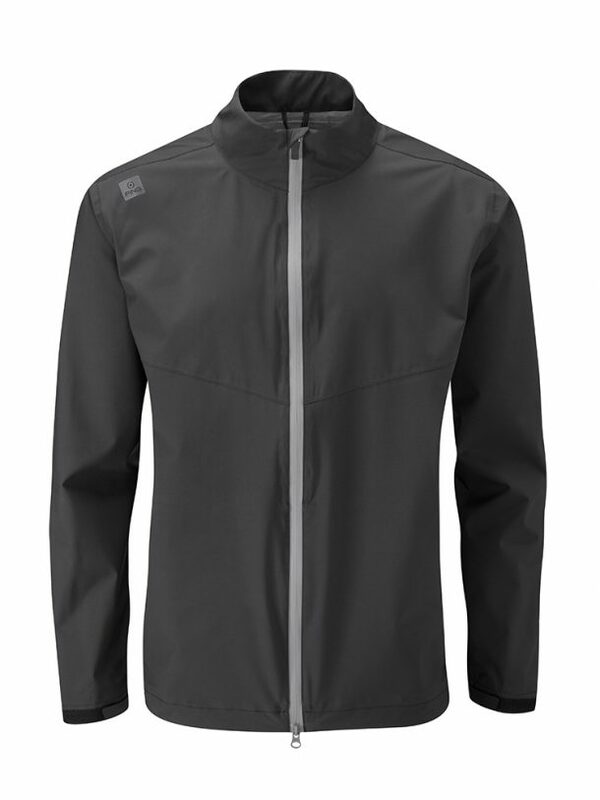 Keep the PING Men’s Delta Lightweight Performance Full Zip Jacket handy for those blustery days on the golf course. Offering wind and water resistance, this men’s golf jacket will keep you warm and can be folded up small enough to stash in your golf bag for easy access and convenience. 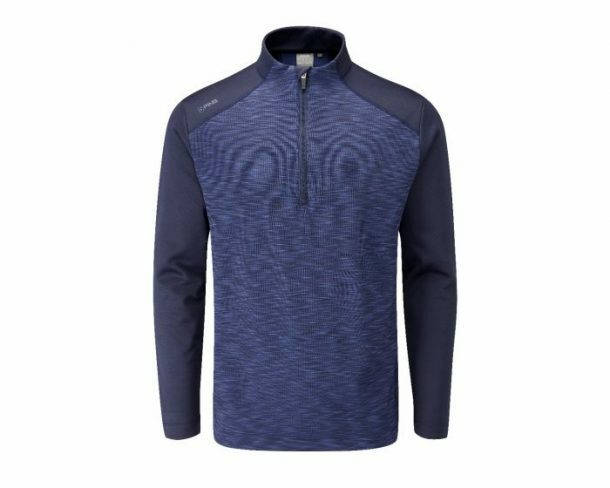 Ping Norse PrimaLoft golf fleece is new for autumn/winter 2018, the fleece features PrimaLoft performance fabric energy series fleece which blends fibers to provide the highest level of comfort, stretch, and recovery. The fleece has a soft texture with high levels of breathability for extreme comfort on the golf course. 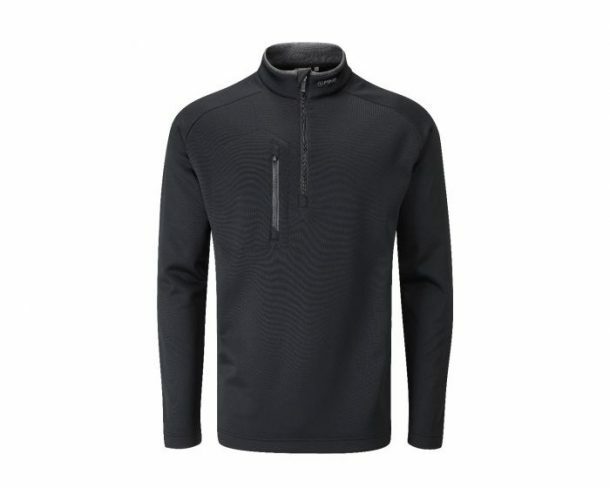 This is a full zip fleece with 2 front pockets that can easily be worn on and off the golf course. The Barrington Fleece Golf Top is loaded with Technical qualities. This performance golf top is thermal, water and wind resistant. The Barrington Fleece has been designed to trap and recirculate your body heat whilst still being ultra breathable. The stretch fabric gives extra comfort without compromising your movement. 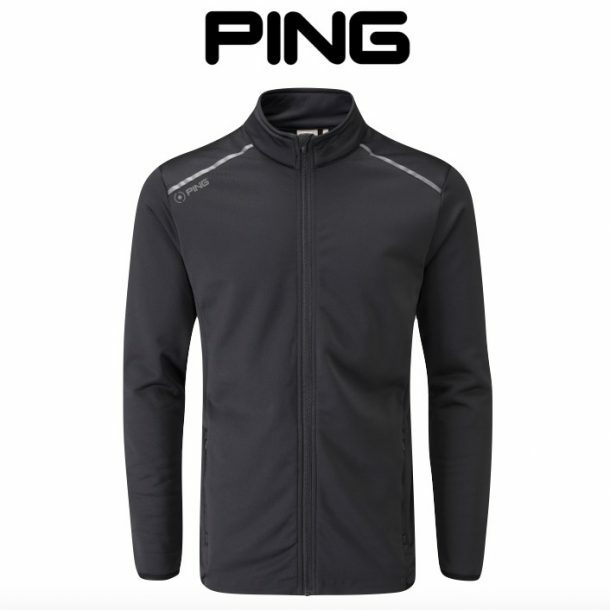 The Ping Caldern Mid Layer Golf Top is stylish and practical with technical qualities. The Ping Caldern Top is water and wind resistant with stretch fabric which makes this top versatile and comfortable It can perform as a top layer or mid layer under a jacket without restricting performance. A must for your golfing wardrobe. 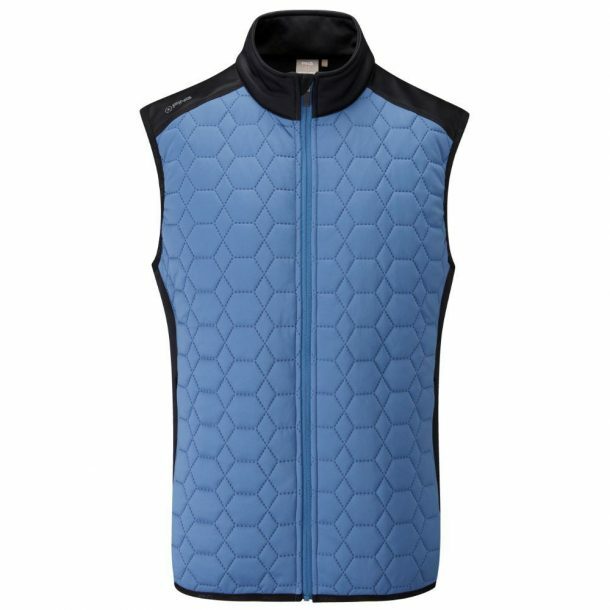 Ping Sonic golf vest will keep you warm on the chilly mornings, the vest has a quilted hexagon pattern and is designed with thermal properties that traps the air to keep you warm. Its wind and water resistant with stretch properties allowing you to move freely limiting distractions. Complete with 2 front pockets and available in 2 colour options. This is an ideal vest for both on and off the golf course. 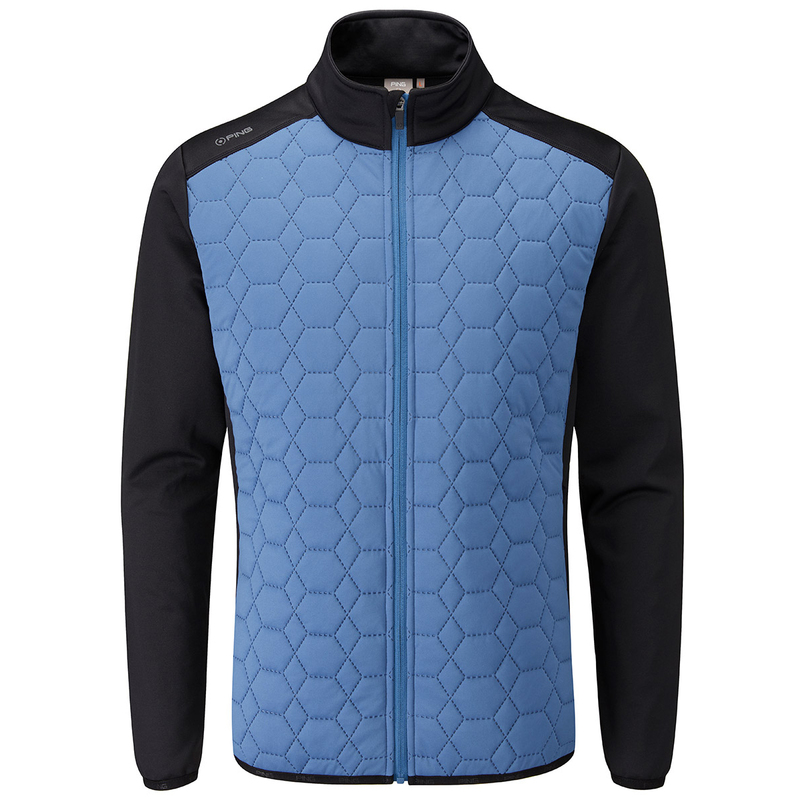 Ultrasonic quilted thermal PING golf vest. Brushed back stretch fleece at back body. 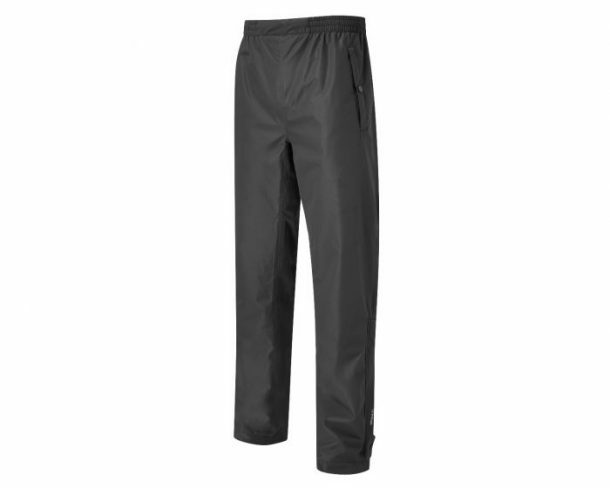 Anders are soft touch waterproof trousers that come with a 3 year waterproof guarantee.They are both windproof and breathable for maximum comfort and protection and made with sensordry technology allowing the trouser to dry quickly once they are wet. The fabric has stretch properties to ensure greater mobility during the golf swing, also made with less noise to ensure you can focus on the shot ahead. The Anders trouser has an elasticated waist with an adjuster, also has a side zip on the bottom of the leg to ensure a comfortable fit, this trouser is complete with two front pockets and one back pocket for your scorecard. THE PING COLLECTION SONIC JACKET WILL PROVIDE THE MOST INCREDIBLE WARMTH, COMFORT AND PROTECTION FROM THE ELEMENTS. 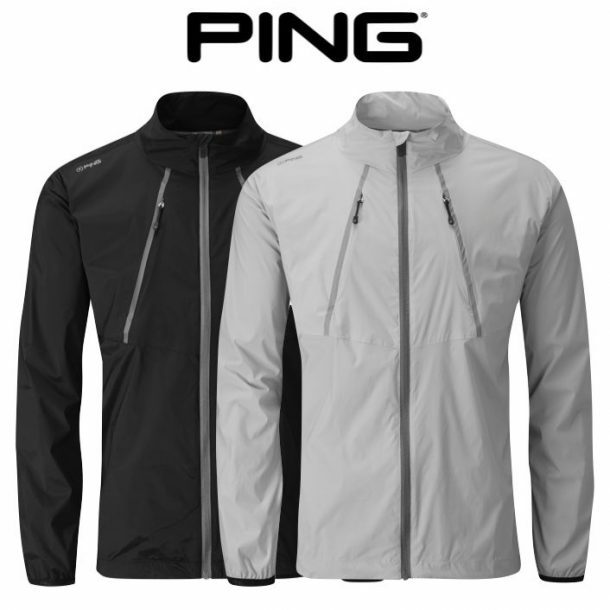 Ping have used their sensorwarm fabric technology in the men’s Sonic Jacket to deliver a fabric that offers excellent wind and water resistance as well as high levels of breathability for year-round performance. insulated quilted front panel in a hexagon pattern. 2 zip front pockets. body fabric: 95% Polyester, 5% elastane.